Calee Reed’s album has been a lifesaver for me. I needed this album in my life. It’s been a rough road for me and my daughter lately and “Broken and Beautiful” is our theme this year. You won’t regret this album. It’s beautiful! Father in Heaven gave you a beautiful talent!!! ✅. We congratulated you for this Amazing CD and for the Eternal Family you may have or you will have. You’re so unique!! Awesome! I loved this CD and would definitely recommend it to anyone! What an amazing sweet voice, with great range and variety. Her lyrics are just what is needed when you forget about your importance in the world. She teaches the Gods plan of happiness in an upbeat and very spiritually inspiring way. The words cut through doubt and the emotion in each song is felt in the heart. Thank you for writing such wonderful music! 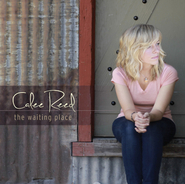 I am a big Calee Reed fan and this album did not disappoint! It is so inspiring and comforting at the same time! I LOVE it! and makes me feel good. Calee is one of the most amazing singer/songwriters. Her beautiful voice, her beautiful lyrics, will touch your heart. She is beautiful inside and out. This CD will heal your heart, help you through your trials, and give you hope. I just listened to the sampling from the album Believer. The voice of an angel.